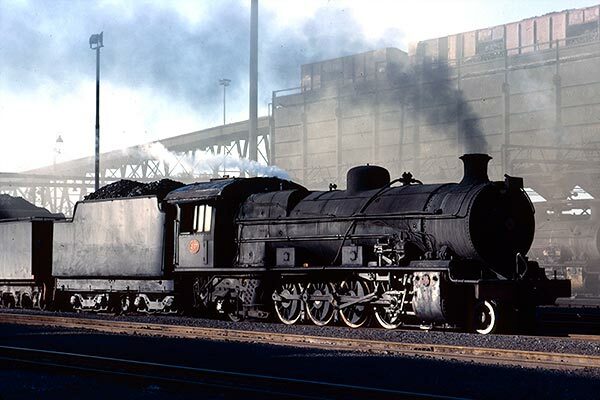 Caption - South African Railways (SAR) class 12A 4-8-2 no.2107 is seen at De Aar loco shed in May 1983. Looking rather dirty, this loco would spend its days shunting the yards. The large boiler and small wheels meant that these were very capable machines able to shift considerable loads. A total of 67 locos were built between 1919 and 1929 with the orders split between North British and Henschel. 2107 was one those built by Henschel (21432 of 1929).